September 15, 2017: Houdini 6 has been released - Get it today! Get the new Houdini 6 today! Houdini 6 continues the impressive surge made by its predecessor by adding another 50 to 60 Elo in strength, to become once again the strongest engine that money can buy. This playing strength increase means that Houdini 6 is stronger than Houdini 5 using twice the time; or in other words, upgrading to Houdini 6 is like doubling the computational power of your computer for chess. Every aspect of the engine has been thoroughly reviewed and refined: evaluation, search, time management and table base usage. Houdini 6 makes better use of multiple threads and will be particularly strong on hardware with many cores. To take into account the recent availability of mainstream processors with 8 cores, Houdini 6 Standard version now supports up to 8 threads. On high-end hardware Houdini 6 Pro can make use of up to 128 threads. The evaluations have again been calibrated to correlate directly with the win expectancy in the position. A +1.00 pawn advantage gives a 75% chance of winning the game against an equal opponent at blitz time control. At +1.50 the engine will win 90% of the time, and at +2.50 about 99% of the time. To win nearly 50% of the time, you need and advantage of about +0.60 pawn. The on-line Houdini Chess Engine User's Manual provides clear and detailed instructions so that you can effortlessly leverage your chess analysis capabilities. Houdini is written for Windows and will run on any not too ancient Windows version. On Linux systems you can run Houdini using Wine without any significant performance loss. On Apple computers a Virtual Machine (e.g. Parallels Desktop) is required to run Houdini. €39.95 +VAT* Best buy for most users with main-stream hardware. Supports up to 8 threads and 4 GB of hash. €59.95 +VAT* For high-end users with powerful hardware. Supports up to 128 threads and 128 GB of hash memory, Large Memory Pages, NUMA-architecture and Nalimov bases. Click here for more information about Houdini Pro. *VAT will be added for customers from EU member states. The Houdini 6 download link and serial number will be sent to you by e-mail within 24 hours of purchase. Note that during installation you'll require an internet access to activate the product. If you haven't received our purchase confirmation mail within 24 hours, please check your spam folder first, and if the mail is not there please contact us immediately via the support e-mail address [email protected]. In particular Gmail has the nasty habit of putting the purchase confirmation mail in the spam folder, most of the "did not get the license" requests we receive are coming from Gmail users. Purchasing Houdini 6 will entitle you to all updates and corrections made to Houdini 6, direct e-mail support by the Houdini author and discounts to future versions of Houdini. Too expensive? You can still download the free Houdini 1.5 which at the time of the Houdini 6 release remains one of the stronger free chess engines. Direct support by the author of Houdini, Robert Houdart, is available by e-mail at the address [email protected]. Before mailing please check out the on-line Houdini Chess Engine User's Manual with installation tips and Frequently Asked Questions. Houdini 6.03 (20171120): Correction for incorrect detection of stalemate in positions with white pawn capture moves. Houdini 5.01 (20161115): Maintenance update with some interface corrections and improvements. Houdini 5 (20161107): Major new version, about 200 Elo stronger. Rewritten evaluation function, deeper search. Houdini 2.00 (20110901): Improved analysis capabilities, enhanced search and evaluation. Houdini 1.50 (20101215): Improved search and evaluation. Gaviota Table Base Support. Houdini 1.00 (20100515): First release. An invaluable resource for any chess engine author is the excellent Chess Programming Wiki. 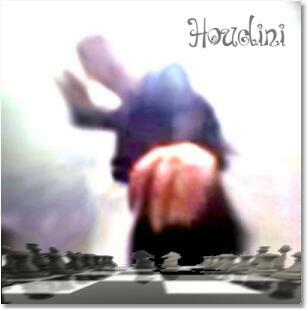 The Syzygy TB probing code used by Houdini is © Ronald de Man, the Nalimov EGTB probing code is © Eugene Nalimov.